A Litany of Good Intentions is the second book in my Human Spirit Trilogy and will be published in October this year. 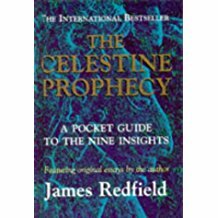 The trilogy is a celebration of our achievements as a species, in particular how we have used science to create a better world over the last two hundred years. It also examines our staccato approach to progress and the human failings that are holding us back. 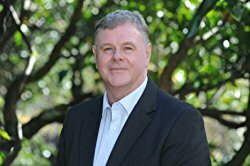 The books are written in the genre of crime fiction – action-packed adventure stories with the same lead protagonists battling against the forces of evil – and I think of them as Thrillers with a Social Conscience. This prompted me to think about other influential crime fiction novels that also make a statement about the society in which we live. Please enjoy my Top Ten, below. If you thought le Carré was all about Cold War espionage, think again. 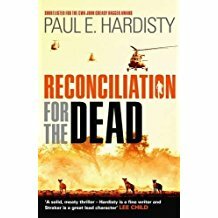 This thriller is set in Africa where a brutal murder leads to the discovery of malpractices by a devious pharmaceutical company. Essential social conscience thriller reading by the Master himself. Three seemingly unrelated stories become entangled is this atmospheric eco-thriller set in the Outer Hebrides. Why are the bees disappearing? Where are the lighthouse keepers? 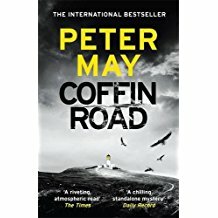 What is the mystery that waits on Coffin Road? 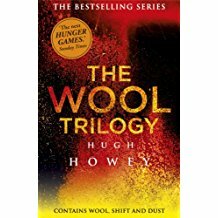 A truly gripping novel set in a dystopian future where humanity is imprisoned in an underground silo existence having poisoned the planet. Is this to be our fate if we don’t listen to the arguments about climate change? It may be set in the dark days of apartheid South Africa but there are disturbing parallels to our world today; a society being torn apart by racial hatred and greed. Fast paced, very well written with a compelling theme for social reform. 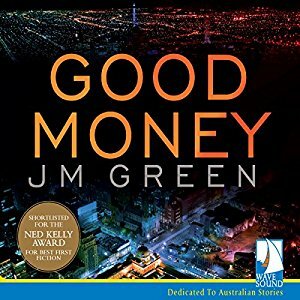 I was fortunate to meet this first-time novelist at the launch of Good Money. The introduction into the world of drug dealing in Melbourne was fascinating but the real clincher was the insight into the power and political influence of the mining industry across Australia. 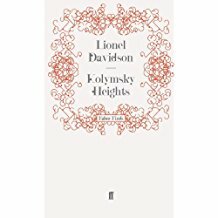 This thought-provoking thriller follows a Jewish family from the horrors of WWII through Stalinist Russia to the present day. 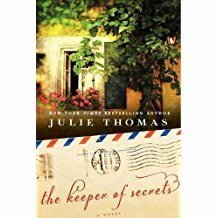 The clever interplay between the time periods and the backdrop of using a violin to link the storylines is refreshing. Music is a wonderful common denominator. A bone-chilling adventure set in the savage wastes of Siberia. The real thriller though is the nature of the research being carried out in the super-secret laboratory buried deep in the mountains. That research has implications for our future society. Gripping stuff. I liked the idea of a book on two levels. 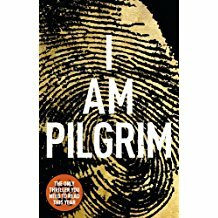 Pilgrim has the key ingredients of a thriller – explosive action scenes, daring storylines and larger-than-life characters. The real story for me was how easy it would be to destroy humanity with the right barcode and passwords. A worrying reminder that IT systems lack compassion. 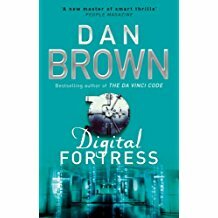 One of Dan Brown’s early techno-thrillers and a chilling portent of government surveillance using computers to spy on its citizens. I like the fact that a seemingly ordinary University professor can save the world using brains rather than high powered weaponry. Dan Brown at his creative best. 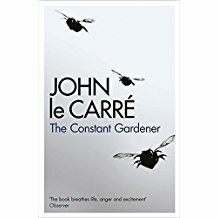 More adventure than crime fiction perhaps but the use of an action-packed, page turning genre to get this powerful social message across is a stroke of genius. We have lost touch with our spiritual selves and the lessons of our forefathers. By reconnecting we can make the world a better place to live. Truly an inspirational thought. 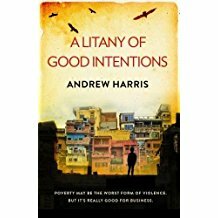 A Litany of Good Intentions by Andrew Harris published 12th October by Faithful Hound, price £12.99 in royal paperback.